Kids birthday invitations and party decorations just got easier. 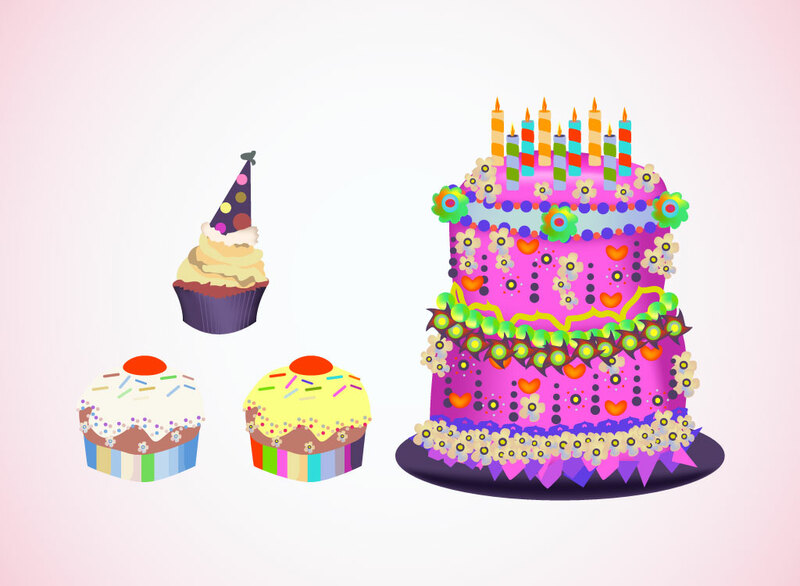 Download this free vector pack that comes with three cupcakes and a big pink layer cake with candles, flowers and love hearts. Great cartoon graphics in bright colors that your kids will love. Tags: Bake, Cake, Candles, Celebration, Cupcake, Dessert, Happy Birthday, Party.